Want to build a website on your own without hiring a developer? Then you need to choose the best website builder out there that enables you to easily create a stunning website yourself. You can find dozens of website builders that help you set up a website on your own with ease regardless of your skillset. Unfortunately, with choice comes confusion, so, in this post, we’ll help you take a closer look at some of the best website builders for beginners. We’ll also walk you through how to choose the right website builder based on your unique needs. Choosing the Best Website Builder- What to Look For? Your skillset is one of the important factors to consider when choosing a website builder. If you’re an absolute beginner, you might consider a solution that comes with an easy-to-use drag and drop builder. Using the drag and drop, you can quickly get your website up and running. On the other hand, if you can comfortably handle the hosting, backups, and security of your site by yourself, then you might want to choose a robust website builder, preferably a self-hosted solution such as WordPress.org. While a drag and drop builder makes it super easy to set up a website, the downside is most builders provide you with a limited set of functionalities that hinder your website growth down the line. What third-party integrations will you need on your website? What’s the budget you can afford to build a website? Will you need a complete eCommerce storefront? WordPress.org, also known as self-hosted WordPress, is the most popular website builder in existence. From hobby blogs to news publications and small websites to enterprise businesses, almost 30% of the internet uses WordPress. WordPress is available in two different versions: WordPress.com and self-hosted WordPress. It’s easy to get confused between the two. For more details, you can check out the differences between WordPress.com and self-hosted WordPress. With WordPress, you can find dozens of website builder plugins that help you create a website with drag and drop such as Beaver Builder and Elementor. WordPress gives you endless possibilities to create a website the way you want. You can easily extend your website’s look and functionalities using WordPress themes and plugins. You also get complete control over your website. Setting up a website isn’t as easy as with other hosted solutions. You can’t create a website for free (you’ll need to budget for a domain name and web hosting). You’ll need to manage backup and security yourself. WordPress is best suited for anyone who wants to build a website regardless of their skillset. It’s the cheapest website builder for beginners, yet it provides more features and full control over your site. WordPress is a free software, but you’ll have to purchase a domain name ($14.99 per year) and web hosting ($7.99 per month) to start a WordPress website. If you need a drag and drop solution to build a website, all you have to do is install a page builder plugin. Because the combined cost of both the domain and hosting can seem like quite a lot, we’ve worked out a deal with Bluehost for IsItWP users. You’ll get a free domain name, free SSL, and over 60% off on WordPress hosting. You only have to pay $2.75 per month. Wix is a drag and drop builder that lets you build any type of website easily. You can choose from hundreds of designer-made pre-built templates for every kind of business. You can create stunning websites with parallax, animation, and video backgrounds, all without having to touch a single line of code. Free: Wix comes with a free plan with limited functionalities to create a website with drag and drop. Advanced features: You can easily integrate advanced features into your site such as an eCommerce storefront. Mobile-friendly: Wix websites are mobile-friendly, meaning your site will look great on all devices. Your website will display Wix-branded ads unless you upgrade to a premium version. The ability to customize your site is limited. Switching over to another platform, should you decide to move, is difficult. Wix is best suited for beginner level users who need a drag and drop solution to create a website. With a premium Wix plan, you can use your own domain name, remove Wix ads, and integrate your website into Google Analytics, and more. However, if you want a website builder that gives full control over your site, then you might use a self-hosted WordPress website instead. Wix offers a limited free plan with a Wix branded subdomain. You can connect a domain for $5 per month. Their combo plan costs $11 per month, which gives you a free domain name, allows you to connect it with your site and removes Wix brand ads. You can add an eCommerce storefront to your site for $17 per month. 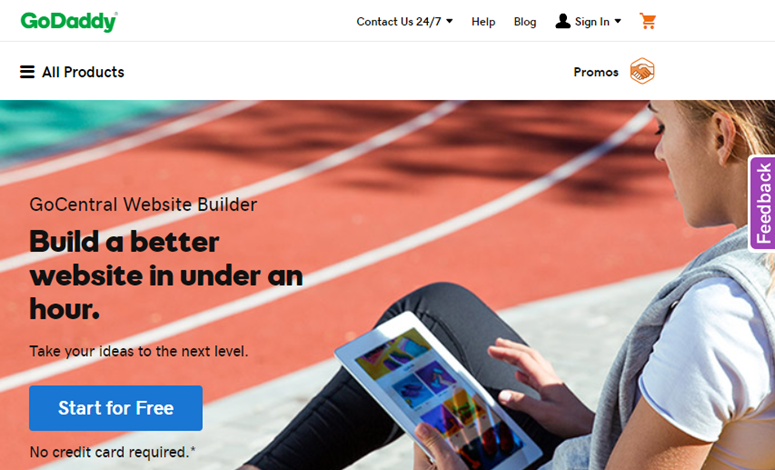 1&1 IONOS Website Builder is an easy-to-use drag and drop builder to create a professional website for your online business. The best thing is that you don’t have to build it from scratch. You can find dozens of design templates suited for your industry. The content will also be populated on your site. Of course, you can customize it per your needs. Reputation: 1&1 is one of the original web hosting companies started in 1988. When you start a website with 1&1 IONOS Website Builder, you can rest assured that you’re in safe hands. Ease of use: Their builder makes it super easy to kick off a new site and customize it. Pricing: For first year, you only have to pay $1/month. Regular price is $7/month. Limited functionalities: Advanced functionalities aren’t available with the builder, such as integrating to eCommerce storefront. No free account: Unlike other standalone builders, 1&1 IONOS Website Builder doesn’t let you start a site for free. Migration is tough: Switching over to a new platform is tough. 1&1 IONOS Website Builder is best suited for anyone who wants to build a site with ease. Shopify is a fully-fledged website builder built specifically for eCommerce businesses. It enables you to set up an online store in minutes without having to touch any code. It powers over half a million businesses with over 1 million active users. Despite being a complete eCommerce platform, Shopify provides a web-based website builder and blogging platform to help you scale up your eCommerce business. All Shopify themes are fully responsive, meaning your customers get a consistent shopping experience regardless of their devices. Without any third-party accounts, you can start accepting payments on Shopify. Additionally, it supports 100+ third-party payment gateways and provides seamless integration with your website, Facebook page, etc. If you need to add multi-level categories and more product details, Shopify might not be the right choice. If you use an external payment gateway, then you’ll be charged a heavy transaction fee, ranging from 0.5 to 2%. Shopify is one of the best eCommerce platforms to build an online store. Compared to other online store builders, Shopify is transparent with their fee structures. If you want more control over your eCommerce store, then you might want to choose a self-hosted eCommerce platform, like WooCommerce. Learn more about building an online store with WooCommerce. Shopify‘s basic plan costs you $29 per month. In addition, the basic plan charges you 2% transaction fees. To reduce the transaction fee to 1%, you can upgrade a higher plan for $79 per month. The advanced plan comes with all features you’ll need and charges you 0.5% transaction fee. The advanced plan costs you $299 per month. BoldGrid is a website builder that works on top of WordPress. If you need a website builder that not only gives you the flexibility of WordPress, but also a drag and drop functionality to customize your website the way you want, then BoldGrid is the best choice. BoldGrid is shipped with a pool of WordPress plugins that provide an enhanced WordPress experience. In addition to drag and drop, BoldGrid helps you easily find and add content to your site that perfectly suits your industry. It’s bloated with too many options. If you need a simple drag and drop builder that works on WordPress, you might consider BoldGrid alternatives like Beaver Builder. 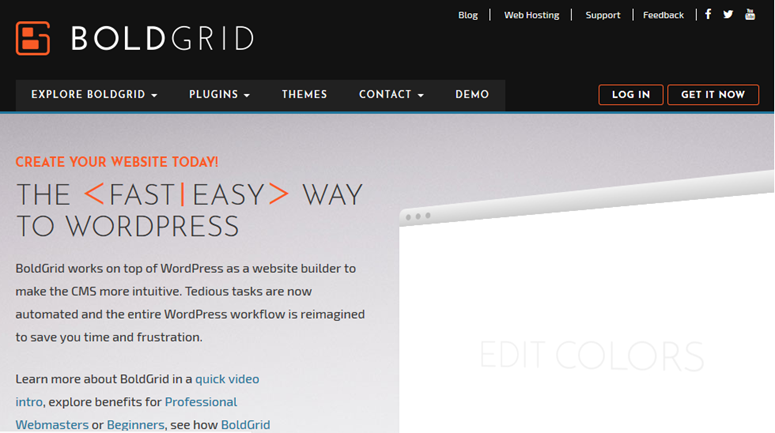 BoldGrid is the right choice for WordPress beginners who need a drag and drop builder with minimal setup. BoldGrid is a product of InMotion Hosting, and it works best with selected hosting providers. IsItWP users can build a WordPress website with BoldGrid for as low as $4.99 per month on InMotion Hosting. You’d like to check out InMotion hosting coupon for more discounts. Weebly is yet another website builder that allows you to build a beautiful website with drag and drop. Weebly makes onboarding easy with its tailored, step-by-step guidance. With Weebly, you can easily add a blog or integrate a storefront into your website. Weebly comes with powerful tools to create a beautiful website including drag and drop, pre-designed layout options, website stats, and more. Weebly also has a free plan that allows you to use a free subdomain of Weebly.com. Users can easily upgrade to a premium plan for additional features, including custom domain support, site stats, site search, etc. The built-in features are limited. It offers only a limited number of integrations. Exporting your Weebly site to another platform can be quite difficult. If you’re a Weebly user and want more features, then follow this article on how to move your website from Weebly to WordPress. If you need a drag and drop solution to quickly build a WordPress site, then you might want to give Weebly a try. Weebly offers a free limited plan for beginners. You can connect a custom domain name to your site for just $4 per month. To remove Weebly brand ads on your site, you’ll have to upgrade your plan to Starter that costs $8 per month. If you want to build a full-fledged eCommerce store and waive off the transaction fee, then choose the Business plan for $25 per month. Squarespace is a full-featured website builder that comes with all the tools you’ll need to build a beautiful website. You can also choose from dozens of website templates for your site. Each template comes with hundreds of customizable features. You can also register a domain name for free with your annual Squarespace subscription. Choose from an extensive collection of built-in site templates. With any plan, you get unlimited bandwidth and unlimited storage. No transaction fee is charged for eCommerce transactions with their eCommerce basic or advanced plans. Unlike most website builders, Squarespace doesn’t offer a free plan. The starting plan is a bit expensive compared to other builders. No third-party apps or extensions are allowed. If you’re after an all-in-one website builder that lets you easily build a website from scratch without having you to sign up for a third-party service, then Squarespace could be the best choice. Since all the necessary tools are available to you right out of the box, you don’t have to pay extra for templates, addons, or any other services. The Personal plan costs you $12 per month, which lets you build unlimited pages with unlimited bandwidth and storage. To add an eCommerce storefront to your Squarespace website, you can choose the Business plan for $18 per month. To waive off transaction fee on your online store, you can upgrade to the Basic Online Store plan that costs you $26 per month. iPage Website Builder is an addon sold as a part of iPage hosting. It’s a drag and drop builder that helps you create stunning websites with mobile-friendly themes. A limited version of the builder is available with your iPage hosting account without any extra cost. The builder is shipped with over a hundred professionally-designed website templates. All elements of your web pages can be edited by simply clicking on them in the live preview. In order to use the builder, you need to subscribe to iPage hosting. While some hosting providers offer a complete website builder as a part of your hosting plan, iPage only allows you to use a limited version of the builder. 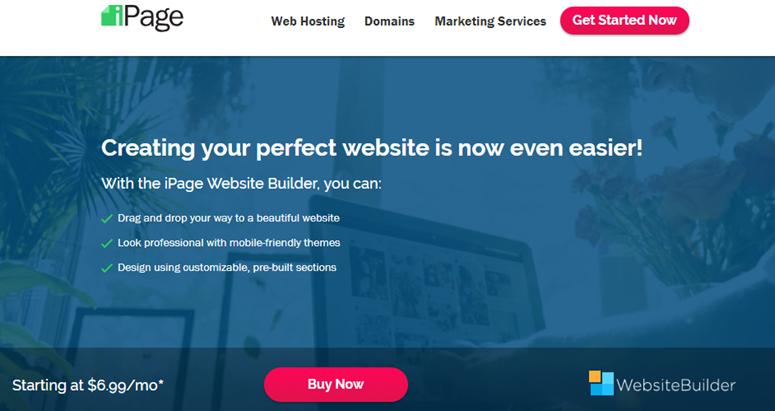 If you want to use a website builder as an addon service of your hosting account, then iPage builder could be a good option. iPage is one of the cheapest yet reliable hosting providers in the market. The basic iPage hosting plan costs you $1.99 per month. A limited version of the builder is available with all iPage hosting plans without extra cost. To build unlimited pages and access advanced features like Google Analytics integration, you’ll have to upgrade to a professional plan for $6.99 per month. GoCentral Website Builder is a simple builder by Godaddy, a leading domain registrar and hosting service provider. GoCentral helps you create a beautiful website with ease. It comes with a suite of marketing tools including SEO and email marketing to spread the word about your online presence. By default, all websites you create from GoCentral will be mobile-friendly, meaning your website will look great on all devices. It also lets you easily add a blog and an eCommerce storefront to your website. It’s not as feature-rich as most other website builders in the market. It offers only a limited set of features with fewer design options. If you think building a website is an intimidating task, you might give GoCentral Website Builder a try. The personal plan costs you $5.99 per month. To receive payments or donations on your site with PayPal, then you’ll need the Business plan, which costs you $9.99 per month. To build an email list and process payments on your website with credit card, you’ll have to upgrade to the Business Plus plan for $14.99 per month. To integrate an eCommerce storefront with your site, then upgrade to the Online Store plan for $19.99 per month. WordPress.com is a free blog and website hosting service run by Automattic, the same folks behind WordPress.org. 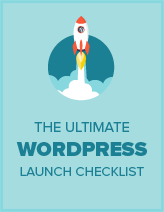 WordPress.com enables you to focus on your content without having to worry about the technicalities of handling a website, such as hosting, security, or backups. WordPress.com makes it easy for anyone to publish online, regardless of their budget. WordPress.com is an SEO-friendly publishing platform. It enables you to create a free website with a WordPress.com subdomain. Out of the box, it comes with all the essential features you’ll need to build and grow your website. If you want enhanced functionalities on your site, like Google Analytics tracking, custom domain name setup, plugins, support, etc. then you might consider upgrading to a premium plan. While you get many enhanced features with their premium plans, they still lack functionalities that you can avail from self-hosted WordPress. Even if you’ve subscribed to a premium plan, you must abide by WordPress.com’s Terms of Services, which means, among other things, you can’t accept payments, host AdSense ads, or do affiliate marketing. If you prefer building a website on a reliable publishing platform over a drag and drop builder, then WordPress.com is the best choice for you. If you want to get complete control over your site, then you might want to use WordPress.org instead. The basic plan is free that comes with limited features. To connect a custom domain name and remove WordPress.com ads, you can choose the Personal plan for $48 per year. If you want to monetize your site, then you’ll need to pay $96 per year for the Premium plan. For advanced features like unlimited storage space, plugin installation, Google Analytics integration, you can choose the Business plan for $300 per year. We hope this article helped you choose the best website builders for your needs. If you enjoyed this article, you might also check out how to create a website. I enjoyed your comparison tactics and your thoughtful insights on the different types of websites and their personal, through business types of creative design. I really like the way you broke things down. Praying you have a wonderful life and that your business(es) prosper as you try to help those who are just starting out. Thanks for your kinds words, Rickey!